Scotland coach Anna Signeul has named one new face in the squad for the friendly with Sweden on 26 January. Zoe Ness, a striker for Swedish side Mallbackens IF, is in the party of 18 for the trip to Gothenburg in Signeul's homeland. 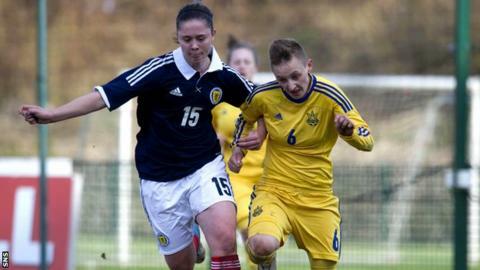 Ness was part of the Scotland Women's Under-19 squad that reached the European Championship finals in 2014. The Scots top Euro 2017 Qualifying Group 1 with four wins from four and next host Slovenia on 8 April.